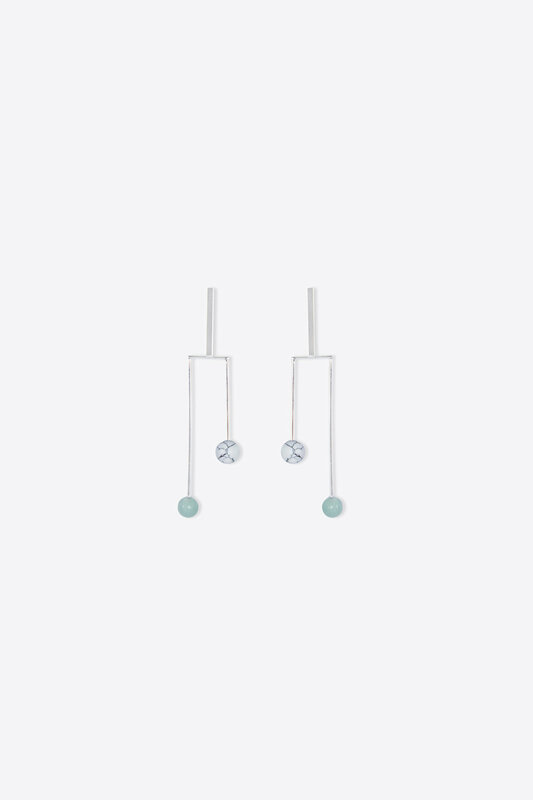 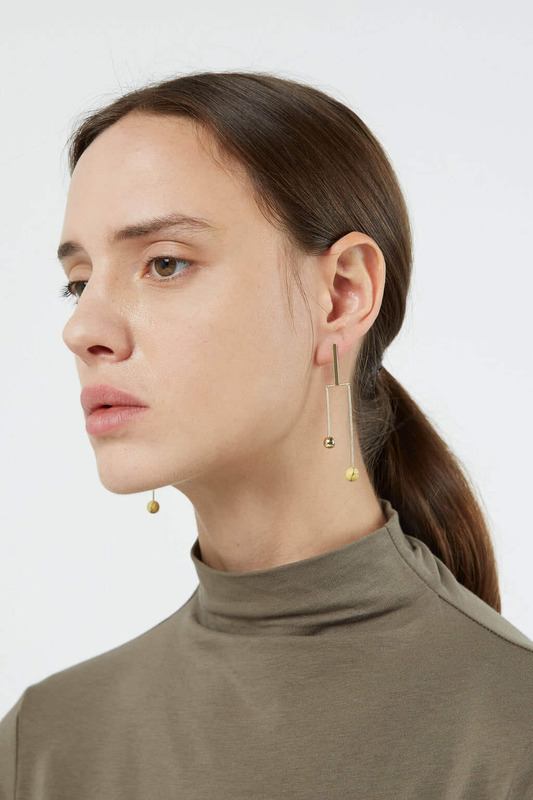 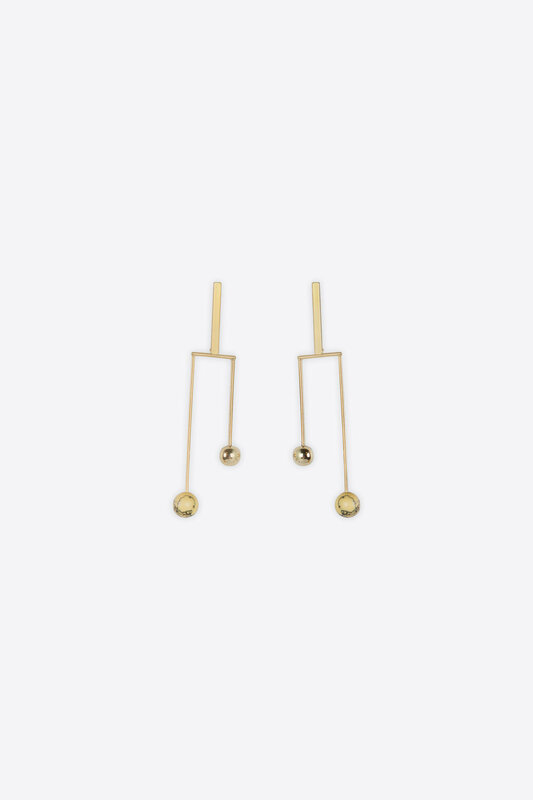 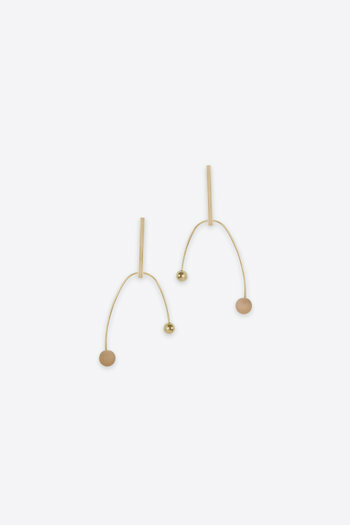 Sleek and modern, these mobile earrings feature an open rectangular frame tipped with a marbled and polished sphere to create an asymmetrical look. 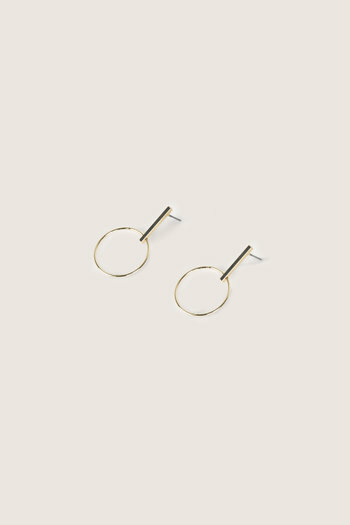 A unique pair that will easily make a statement to any look. 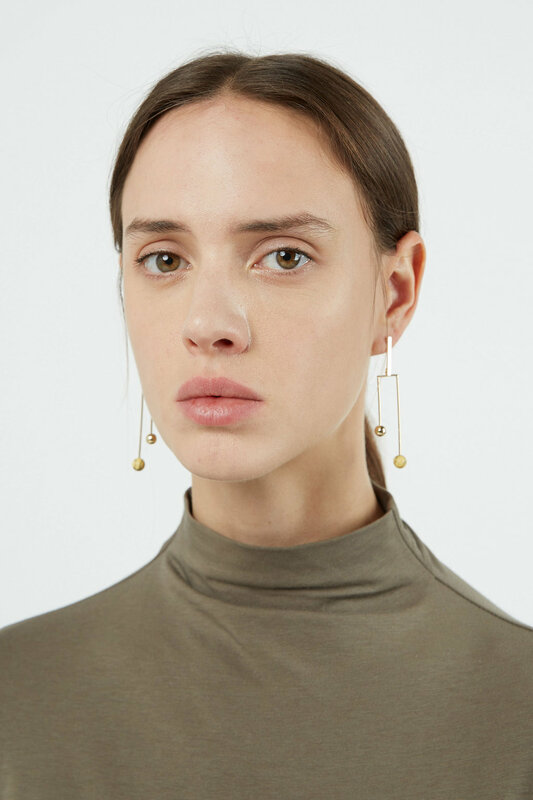 Try yours with a simple tee and with your hair in a low pony.